Congratulations to Year 12 students Jacob Goss and Jonathan Charmley who have been selected to be Lieutenant-Governor’s Cadets for 2018-19. 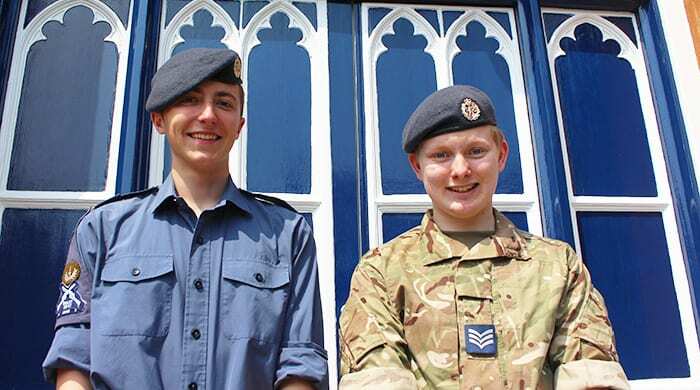 Jacob was nominated by and will represent the Combined Cadet Force and Jonathan was nominated by and will represent the Air Scouts. Each year four or five young people from Guernsey’s uniformed youth organisations are selected to serve as Lieutenant-Governor’s Cadets. They play a special role in supporting The Queen’s Representative at official and public functions throughout the year.